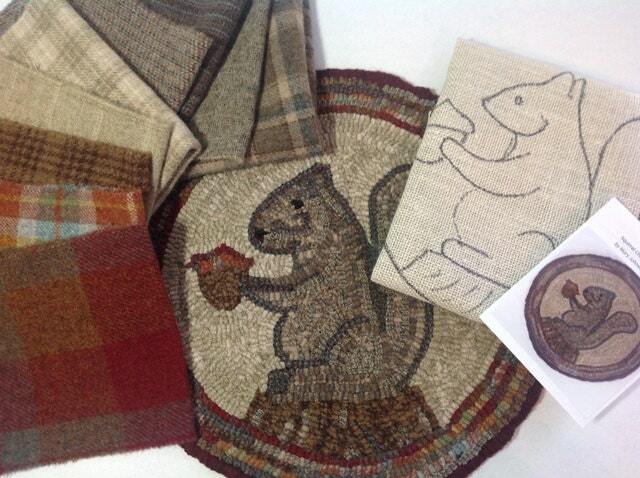 This listing is for the KIT to hook my design "Woodland Squirrel". 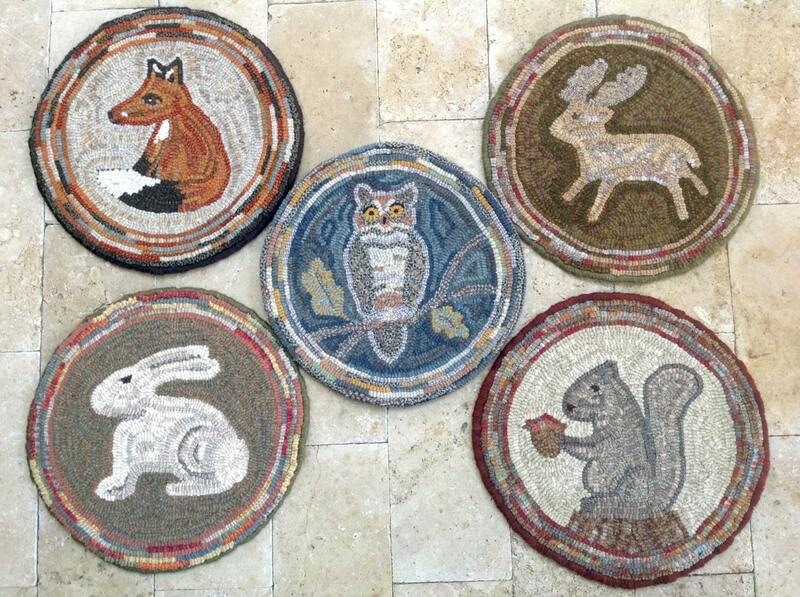 It is 14" round and will hook up quickly into a chair pad or table mat for you to enjoy now and all through the year. A 4" x 6" photo is included. It is one of five in a series of "Woodland Animals" Chair Pad Designs, you can see those in the Small Patterns section. Thank you for visiting. Feel free to contact me if you have any questions. ©2017 Mary Johnson. 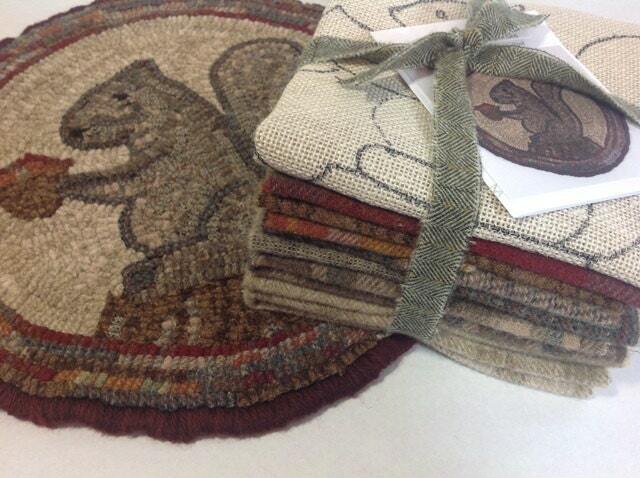 All patterns at Designs In Wool are copyrighted by Mary Johnson, the designer. Your purchase of this pattern gives you rights to use this pattern one time. You are not allowed to make new copies, redraw, reproduce in any manner on your own or give this design to others. Thank you for respecting and your support of my small business by keeping copyright laws. 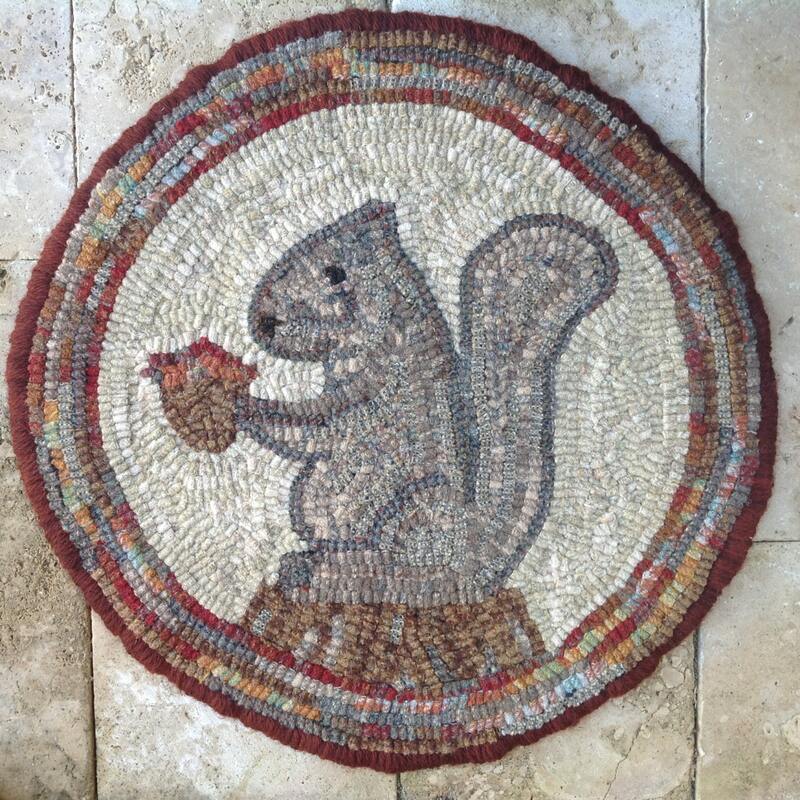 I just love my squirrel rug hooking kit. The animal is darling and the wool colors are just amazing. Can't wait to dig in. Thank you so much for this lovely kit. I am so excited about my squirrel kit! I've already begun to hook it and even though I am a complete beginner it is going great! I would recommend this shop for someone who is interested in trying this craft. The pieces of fabric were labeled for me and the pattern is clear and it's easy to get the knack of hooking. I'm sure that I am still lacking in technique but just the same, my work looks okay and it is a piece I will display with pride! Shop was helpful and shipping was super fast! Love, love, love it! Another beautiful kit full of beautiful wool and a lovely pattern.